Mike Greene - For Shaw Media Ned Zeman, center of the Village of Lakewood, raises his arms in celebration during the inaugural Leprechaun Plunge hosted by Operation Click Saturday, March 12, 2016 at Three Oaks Recreation Area in Crystal Lake. 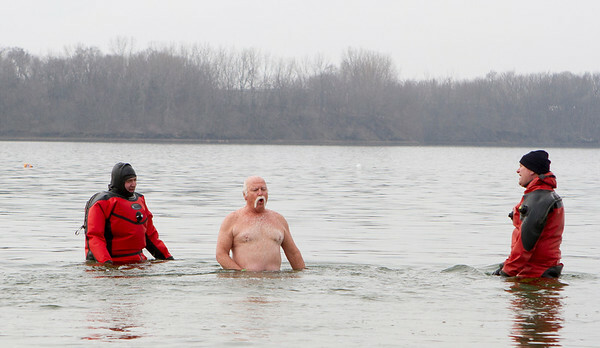 Zeman has also participated in the Polar Plunge New Years day in Lake Michigan. 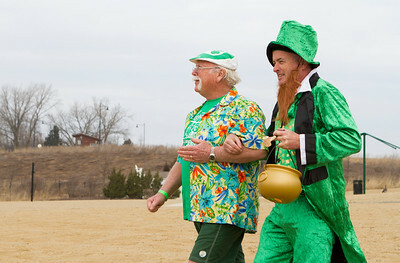 Mike Greene - For Shaw Media Ned Zeman, left of the Village of Lakewood, is escorted to the water by Operation Click president Sean McGrath during the inaugural Leprechaun Plunge hosted by Operation Click Saturday, March 12, 2016 at Three Oaks Recreation Area in Crystal Lake. Participants in the event received plates of corned beef, cabbage and boiled potatoes. 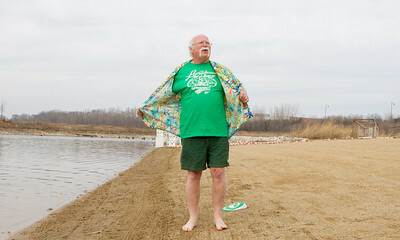 Mike Greene - For Shaw Media Ned Zeman, of the Village of Lakewood, prepares to enter the water during the inaugural Leprechaun Plunge hosted by Operation Click Saturday, March 12, 2016 at Three Oaks Recreation Area in Crystal Lake. 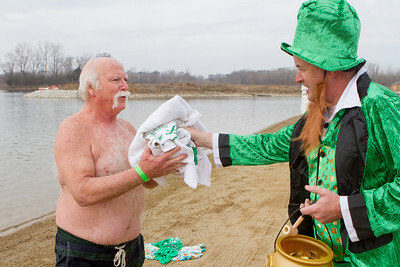 Mike Greene - For Shaw Media Ned Zeman, left of the Village of Lakewood, is handed a towel by Operation Click president Sean McGrath during the inaugural Leprechaun Plunge hosted by Operation Click Saturday, March 12, 2016 at Three Oaks Recreation Area in Crystal Lake. Participants in the event received plates of corned beef, cabbage and boiled potatoes. Mike Greene - For Shaw Media Ned Zeman, center of the Village of Lakewood, comes out from under the water during the inaugural Leprechaun Plunge hosted by Operation Click Saturday, March 12, 2016 at Three Oaks Recreation Area in Crystal Lake. 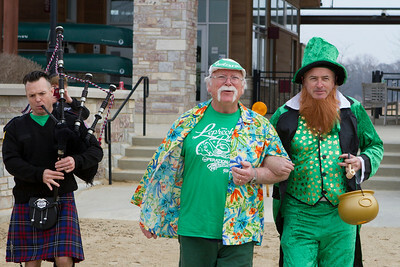 Mike Greene - For Shaw Media Kurt Majzner, left, plays the bagpipes as Ned Zeman, center of the Village of Lakewood, is escorted to the water by Operation Click president Sean McGrath during the inaugural Leprechaun Plunge hosted by Operation Click Saturday, March 12, 2016 at Three Oaks Recreation Area in Crystal Lake. Ned Zeman, center of the Village of Lakewood, comes out from under the water during the inaugural Leprechaun Plunge hosted by Operation Click Saturday, March 12, 2016 at Three Oaks Recreation Area in Crystal Lake.